Up & Running » A brand new course for you… 5K Comeback! A brand new course for you… 5K Comeback! Last year Shauna and I met in Amsterdam to have a brainstorming session. We both really enjoy taking ourselves out of our everyday surroundings to switch up thought patterns and get the ideas flowing. That particular afternoon called for Mexican food. Nothing like a good burrito washed down with a vanilla horchata to help out with the creative process! We have a dozen Google Docs filled with ideas, so our biggest issue is always… which idea to choose? One our dear Up & Runnersm Tessa, lives near Rotterdam so she travelled up to join us. She kindly listened to our burble of ideas, acting as both expert focus group and community representative. Her vote was for the 5K Comeback idea, too. And now the day has arrived. 5K Comeback is HERE! I’ve seen so many awesome women successfully complete our 5K Beginners Course, or other programs like Couch to 5K. You’re out there running and having a great time… and then… life happens. Too much work, a winter full of crappy weather, or a joyous birth announcement. Some time later, you’re ready to get back to 5K distance training… but the thought of starting all over again feels super daunting. There’s a brand new six-week training plan – we’ll safely get you running right from Week One. As you move through the weeks, we explore themes that’ll help you make running a permanent part of your busy life. We’ll talk about how to schedule your running sessions and give you tips on running style. We also have inspiring interviews with rockin’ women who’ve already made their own triumphant returns to running. Best of all, if you follow our Comeback plan you’ll be running the 5k distance in six short weeks, just in time for summer! So, check out the 5K Comeback page to find out more about the course. It’s a self-paced plan so you’re welcome to start any time, even today! Get instant access to 7 days of workouts, plus running tips and inspiration delivered to your inbox each month. 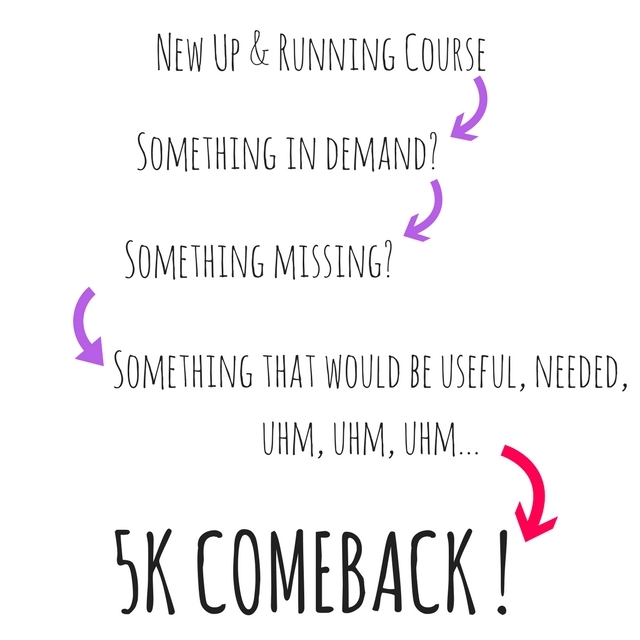 A brand new course for you... 5K Comeback!